The first president of the United States I ever saw was Richard Nixon, during his 1960 campaign against John Kennedy. At the age of four, I am told, I was held up in the air as the future president's motorcade sped down the Lincoln Highway in Illinois, where I lived. That fall, Nixon was promising Americans that if they made him president, "your children and grandchildren won't grow up under Communism." To drive home his point, the Nixon campaign wanted his parade routes lined by small girls and boys. I was one of those. My fascination with presidents grew. At the age of six, when I watched on television as John Glenn became the first American to orbit the earth, I was struck when one of the commentators said that Glenn was putting his life in danger to advance President Kennedy's dream that Americans get to the moon by the end of the decade. Later that year, I saw Kennedy tell us on television that he would risk nuclear war to get Soviet missiles out of Cuba. Knowing how neighboring towns were sometimes demolished by tornadoes, I wondered whether mine (population forty-six hundred) would be leveled by a nuclear attack. 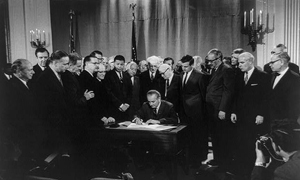 President Lyndon Johnson signs the Civil Rights Act bill. It would have been difficult for any American who grew up during the 1960s–the Cold War confrontations, the struggle for civil rights, the Great Society, Vietnam, the race to the moon–to escape the notion that a president loomed, almost physically, over the lives of every American. I presumed at the time that this must have been true for most of American history. Only much later, as an historian, did I come to understand how sharp were the ebbs and flows of presidential power–and of the quality of the men who have served in America's highest office. Stirring displays of presidential leadership continue to affect us today: George Washington inventing key elements of our political system, Andrew Jackson battling the Bank of the United States, Abraham Lincoln binding the Union, Theodore Roosevelt and Woodrow Wilson involving the government more than ever before in our economic affairs and expanding our role among nations, Franklin Roosevelt rescuing our society and the world, Harry Truman improvising the means that would defeat the Soviet empire, Ronald Reagan seeking to end the Cold War. What makes these achievements all the more spectacular is that our presidents have all operated under a Constitution that did not grant them unilateral power. This was not accidental. On the cusp of independence the founders of the new American republic did not wish to endow the presidency with powers that might lead to some new American version of the British monarchy they had fought so hard to shake off. The limited powers of the office stand in contrast with the acts of presidential leadership that have driven so much of our history. Thanks to the American system, our people have managed frequently to choose leaders who have had the character to alter public opinion, the vision to spot public dangers and opportunities, and the skills to get Congress, citizens, and sometimes the world to share their view of the way things should be. More than anyone else, George Washington demonstrated how the strictures of the Constitution would be translated into actual power. 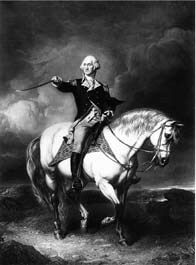 The old hero recognized that he was setting one precedent after another–his refusal to be called "His Mightiness" or "His Elective Majesty," his diplomacy, his efforts to fashion a legal structure for the new land, his demonstration, in putting down the Whiskey Rebellion, that the United States was able and willing "to support our government and laws," his refusal to accept a third term. It was left to John Adams to follow the adored and groundbreaking leader who had stood above partisanship to navigate grave crises with France and with Alexander Hamilton. Adams was the first president to live in the Executive Mansion. He understood the potential of the white stone house as a unifying symbol of the new democracy, writing his famous prayer that heaven "bestow the best of Blessings on this House and all that shall hereafter inhabit it" and that "none but honest and wise men ever rule under its roof." The quintet of presidents who followed Adams suggested that his prayer had been heard: Thomas Jefferson, who demanded "a government rigorously frugal and simple" and had the foresight to double the size of the new nation with the Louisiana Purchase; James Madison, who took the country through the War of 1812 and helped establish the United States as a world power; James Monroe, who fashioned an enduring foreign policy doctrine; John Quincy Adams, who set out the need for a national system of roads and canals, thoughtful regulation of national resources, and government aid to education; Andrew Jackson, who expanded the powers of the office, waged war against the notion of a national bank, expunged the national debt, and became a people's hero. For the next quarter-century, with the exception of James Polk, who pursued American expansion and revived the independent treasury, the candlepower of the presidency dimmed. Martin Van Buren struggled against the Panic of 1837. William Henry Harrison died after a month in office. John Tyler, "His Accidency," established the expectation that Presidents-by-succession assumed the office in full and annexed Texas, but was ultimately expelled by his own party. Zachary Taylor, Millard Fillmore, and Franklin Pierce were among the weakest leaders ever to serve as president. The final president before the Civil War, James Buchanan, embodied the failure that shadowed the reputations of his seven immediate predecessors: Each had tried to paper over the deepening issue of slavery that divided the American people, endangered the Union, and threatened to make a mockery of the American notion of democracy. Few historians would disagree that Abraham Lincoln was our greatest president. What better demonstration could there be of the American idea that anyone can become president than a boy who sprang from "the short and simple annals of the poor" with a year and a half of sporadic formal education; who mastered Euclid, the Bible, Shakespeare, and Blackstone; made himself the natural leader of almost any community he entered; and then went on to confront the issue of slavery and save the Union with a costly and complicated war? The end of the Civil War, which had seen Lincoln expand the powers of his job to prevail over the Confederacy, might have opened the way to a new era of strong presidents. It did not. The most severe crisis of the Union was over and as Reconstruction unfolded, the Congress, Supreme Court, and the American people were eager to whittle the presidency back to more human scale. Sketched by Theodore R. Davis, 1868. It was in 1888 that the widely read British scholar and diplomat James Bryce wrote "Why Great Men Are Not Chosen Presidents." Andrew Johnson had been impeached. Ulysses Grant's administration had grown entangled in scandal and economic crisis. Although Rutherford Hayes helped to restore the office after the tremors of Johnson and Grant, he was constrained by his failure to win the popular vote and his pledge to serve merely a single term. James Garfield was murdered after a half-year in office. Chester Arthur and Benjamin Harrison were only too happy to allow Congress to take the driver's seat. Although Grover Cleveland aspired to strengthen the presidency, he was frustrated in many of his public ambitions. You might well ask yourself whether America could have been a greater country during this era had it benefitted from stronger executive leadership or was this a period in which the nation, after the greatest crisis in its history, had to lick its wounds and consolidate? Then, on the eve of the twentieth century, the wheel turned again. With the Spanish-American War and his dispatch of five thousand Americans to fight the Boxers in China, William McKinley heralded America's new role as a world power. Theodore Roosevelt and, after the William Howard Taft interlude, Woodrow Wilson expanded presidential power over foreign policy and our economic life. The presidencies of Warren Harding and Calvin Coolidge were largely a rebuke to the powerful presidency, but Herbert Hoover–far more than most people understood at the time–was a forerunner of the dramatic surge in presidential authority that began in 1933. Franklin Roosevelt launched the longest period of sustained presidential command in our history. The American epoch from the early 1930s until the start of the 1990s was dominated by what the historian Arthur Schlesinger, Jr., has called the "imperial Presidency." When FDR took the oath, the nation was in such desperate economic straits that many members of Congress and influential columnists like Walter Lippmann were almost begging him to seize more power and tinker with ways out of the national mess. Roosevelt would have been stultified to be president in a time that did not allow such potential for leadership. He was only too happy to oblige, sending new domestic programs through Congress that were so far-reaching that the Supreme Court struck some of them down. Nevertheless, what Congress gave Roosevelt in the domestic arena, it withheld in foreign and military affairs. Despite the president's growing suspicion that the nation might have to wage a war against totalitarians in Germany, Japan, Italy, and their allies, an isolationist Congress mired him in legislation that gave him little leeway. In 1937, backed by three-quarters of Americans (according to one reputable survey), Congress almost passed an amendment requiring that, except in case of invasion, "the authority of Congress to declare war shall not become effective until confirmed by a majority of all votes cast in a Nation-wide referendum." Pearl Harbor removed the shackles on presidential power in foreign and military affairs. After the Japanese attack, the American people and Congress handed Roosevelt authority to fight World War II that far exceeded anything he had amassed in the 1930s. Leading the Allies into battle, forging an industrial "arsenal of democracy" on the home front, FDR was as near to being a king of the world as any president would ever be. 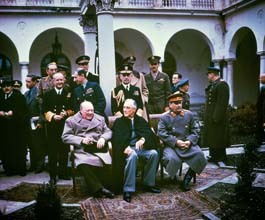 When the war ended in 1945, there was every expectation that presidential power would recede, just as it had after the Civil War and World War I. But, with its air of a clear and immediate danger, the Cold War gave Harry Truman and those leaders who followed him power in foreign affairs that neared that of a president fighting a hot war. Especially during showdowns like the Berlin blockade of 1948 and the Cuban Missile Crisis, many Americans felt that literally one human being was shielding them against a worldwide threat. Congress was often willing to give presidents the benefit of the doubt. The House and Senate let Truman fight in Korea without a congressional war declaration, just as they later let Eisenhower, Kennedy, Johnson, and Nixon do in Vietnam. In domestic affairs, Americans seemed willing if not eager to continue the flow of national power to Washington that had begun with the New Deal and continued as Americans on the home front girded to win World War II. The imperial presidents were happy to exploit congressional deference that stemmed from the Cold War danger to get controversial domestic programs passed. Eisenhower justified his highway and education programs by saying they were essential for national defense. When Kennedy wished to shoot for the moon–a program that had little direct military value and in fact took resources away from more important military ventures–he reasoned that Americans needed the added prestige and would have to command outer space in order to win the struggle with the Soviet Union. The strong presidency of the twentieth century also gained power by acquiring new symbols, mystique, and ways to influence the public that it had never had before. 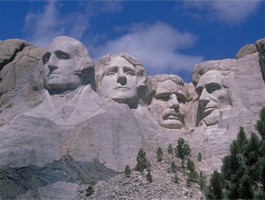 In the absence of kings and queens, Americans had always wanted to hold up presidents of special stature like George Washington and Abraham Lincoln as examples for their children. But after World War II, the office was provided with new theatrical props. When Truman's aides advised him that the presidential aura was a valuable asset in fighting the Cold War, he authorized them to design a new presidential flag and mount a presidential seal on his lectern wherever he spoke. Kennedy had the presidential plane–once blandly labeled MILITARY AIR TRANSPORT SERVICE–repainted by the industrial designer Raymond Loewy (who also designed radios and kitchen blenders) in regal blue and white with the sweeping legend UNITED STATES OF AMERICA. The image of Air Force One was so potent that when Gerald Ford's campaign against Jimmy Carter was flagging, Ford's handlers had him deliver a televised campaign speech from aboard the plane, engines screaming as it hurtled through azure skies, because they thought it would make Ford seem more "presidential." Other presidents handed out presidential cufflinks, golf balls, and boxes of M&M's emblazoned with their signatures. The mass media of mid-twentieth century America made certain that every American knew about their leaders' tastes in dress, cinema, and food. JFK started a craze for two-button suits. His refusal to wear hats (he thought they made his cheeks look too fat) threatened to ruin the hat industry. Besieged by desperate hat moguls, Kennedy was persuaded to at least carry a hat during public ceremonies like airport greetings and military parades. Richard Nixon's well-publicized obsession with Patton helped make the film a winner at the box office. Ronald Reagan, after spurring the national consumption of jelly beans, launched the literary success of an obscure insurance agent named Tom Clancy by praising Clancy's first thriller, The Hunt for Red October. 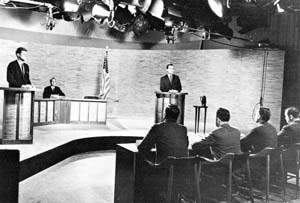 in the first televised debates, 1960. Presidents of the eighteenth and nineteenth century had had to address the public through newspapers or handbills. But when presidents of the mid-twentieth century had something to say, they needed merely to call the three major television networks (there were only three) and almost every American watching the tube would be confronted with' a presidential speech or press conference. When you saw the presidential seal dissolve into JFK talking about Cuba or Nixon about Cambodia, you knew it was something important and you usually watched. Another way presidents seized power for themselves during this period was in no way public. These were the illicit abuses of presidential power that constituted a scarlet thread in the underside of the presidential carpet. Members of Ulysses Grant's and Warren Harding's entourages may have exploited the presidency to line their pockets, but twentieth-century agencies like the Bureau of Internal Revenue (later the Internal Revenue Service) and the Federal Bureau of Investigation gave presidents and their aides new opportunities to secretly intimidate or thwart–sometimes under the guise of national security–their political enemies. When Senator Huey Long threatened Franklin Roosevelt's reelection, federal tax agents were sent to Louisiana to dredge up compromising information that could be used to discredit him. Dwight Eisenhower's chief aide, Sherman Adams, asked the FBI for damaging evidence on Democratic senators that could be used to embarrass them. Under Kennedy, the telephones of presidential critics were tapped and their tax returns, including those of Richard Nixon and his mother, were audited. These misdeeds expanded presidential influence. If you were a Washington columnist whose private life might look tawdry in an FBI file or who had cheated on your income taxes, you might have thought twice before incurring the wrath of a sitting president. When Nixon came to the White House, he dramatically expanded such practices, abusing the FBI, IRS, and Central Intelligence Agency, devising secret funds for burglary and blackmail. After the Watergate scandal burst open and Nixon's malfeasance was exposed, he complained that he had merely followed his predecessors' custom–and that besides, just as Lincoln had suspended the writ of habeas corpus during the Civil War and just as Franklin Roosevelt had cut the corners of American neutrality laws to secretly aid the British, he too was a wartime president, waging a struggle in Vietnam that, he noted, other presidents had started. In the wake of Nixon's scandal, Americans, happily, succeeded in yanking most of the scarlet thread from underneath the presidential tapestry. Rules for presidential dealings with agencies like the IRS, CIA, and FBI were implicitly or statutorily tightened. The congressional opposition and a new watchdog press leaped at any public hint of abuse. In the last decade of the twentieth century, the foundations of the strong presidency cracked. In December 1991, when the Soviet Union dissolved and the Cold War ended once and for all, George Bush found that his influence not only in foreign affairs but also domestic policy shrank almost overnight. Americans wanted a stop to the era of Big Government, as Bill Clinton acknowledged in his 1996 State of the Union, and one of the chief casualties was the strong presidency. What better symbol was there of Big Government than imperial presidents such as Franklin Roosevelt and Johnson and Nixon–and Reagan, who expanded the federal budget? In the absence of an overwhelming foreign or domestic crisis that seemed to cry out for executive leadership, Congress stopped acceding so often to presidential will as it had during the Great Depression, World War II, and the Cold War. 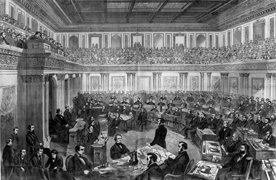 There was the prospect that the clock might be turned back to the post-Civil War period, when speakers of the House and Senate majority leaders often dictated to presidents and were sometimes better known and more influential than the men in the White House. By the end of the twentieth century, the belief that presidents were well-intentioned and told the truth, the idealism and trust that endowed presidents such as Theodore and Franklin Roosevelt, Eisenhower and Kennedy with so much of their public impact had been drained away. After presidential deceptions over the Bay of Pigs and Vietnam as well as the Watergate, Iran-contra, and Monica Lewinsky scandals, Americans (especially the young) were much more skeptical about what they heard from the White House. And in the age of round-the-clock television news and the Internet, presidents would have to compete for air-time with Madonna and O. J. Simpson. At the dawn of the twenty-first century, as I write, we are therefore in a period in which it will be very difficult for presidents to exercise strong leadership in the absence of some all-encompassing crisis like the Civil War or the Great Depression–or the election of some leader with such extraordinary stature and political skills that he or she can overcome the ebbing authority of the office.2 America does not always need a strong presidency. As the Civil War historian Bruce Catton wrote in 1968, "If the story of the Presidents proves nothing else, it testifies to the enormous stability of the office itself and of the nation that devised it. "3 Sometimes we are better off without presidents who overreach. But at critical moments, the absence of that distinctive presidential voice and of the executive power to push foot-dragging public officials and skeptical citizens to think anew or make vital sacrifices can endanger the country. What if there had been no Washington to unite the new nation, no Lincoln to save the Union, no FDR to lead Americans through the Great Depression and prepare us for World War II? Few historians today would argue that Washington, Lincoln, and Franklin Roosevelt belong anywhere but at the top of the presidential ladder. Bur for most of the other presidents, the metaphor should be not ladder but stock exchange. Presidential reputations are constantly fluctuating–some much more than others –as we discover new information about them from letters, diaries, secret memoranda, tape recordings, and other sources, and as we see them in more distant hindsight, the phenomenon that the historian Barbara Tuchman so vividly called the "lantern on the stern." As an eight-year-old, I could not know that LBJ, had he read this boy's letter, would not have welcomed my advice. Already feeling enveloped by Kennedy's shadow, he privately believed that JFK was a "Joe College man" of minimum accomplishment but that Ivy League historians would stack the deck in Kennedy's favor. As for himself, until Johnson died in 1973, disparaged for his rough-hewn style and his war in Vietnam, he insisted that those same historians would have no wish or ability to understand him. But a quarter-century later, Johnson's reputation is sharply on the upswing. The LBJ surge is a superb example of what makes the history of the American presidents so mesmerizing. Like a rushing river drawing force and direction from unforeseen new currents and streams, what we think and write about the leaders who have gone before is never final and is always changing. 1. Excerpted from The Presidents: Every Leader from Washington to Bush © 2003, Introduction by Michael Beschloss. Reprinted by permission of American Heritage. 2. Written at the beginning of the 21st century, this essay does not address the administration of George Walker Bush and thus does not evaluate the impact on the presidency of September 11, 2001; the war on terrorism; and the other momentous events that have occurred in the first decade of this century. 3. Written by Civil War historian Bruce Catton in his foreword to an earlier edition of this book, in 1968.